Executives at Workday Inc. had plenty to cheer about today as the enterprise software company delivered strong third-quarter earnings that came in well above estimates. The company, which sells cloud-based human capital management and enterprise financial software, posted earnings before certain costs such as stock compensation of 31 cents per share on revenue of $743.2 million, up 33 percent year over year. Wall Street was looking for earnings per share of just 14 cents on revenue of $723 million. 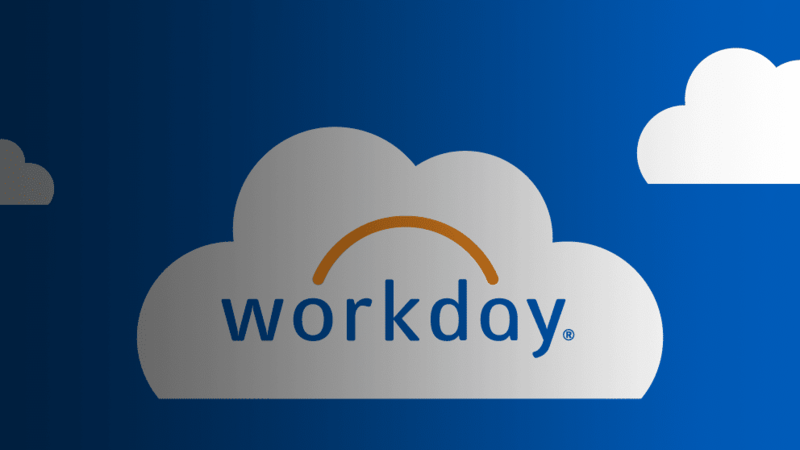 Workday remains slightly unprofitable, however, recording a net loss of $153,000 for the quarter. Still, the company demonstrated growth that was solid enough to keep its shareholders happy. It said that its all-important subscription revenue jumped by 35 percent, to $624.4 million for the quarter, as it benefits from the accelerating shift among businesses that are moving their most critical applications and software to the cloud. That growth is set to continue into the new year, as Workday said it’s expecting its full-year subscription revenue to grow about 33 percent, to $2.37 billion. The company didn’t provide fourth-quarter guidance at this time, but what it did say was enough to convince investors of its short-term prospects. As a result, Workday managed to bring to a halt a string of dubious quarters that saw its stock tumble in the immediate aftermath. Today the opposite happened, with Workday’s stock rising more than 9.5 percent in after-hours trading. The jump means Workday’s stock is now up 43 percent since the beginning of this year. Analyst Charles King of Pund-IT Inc. said that perceptions of Workday depend significantly on the company continuing its forward momentum. Workday co-founder and Chief Executive Aneel Bhusri said in a statement that the company was showing strong momentum across its product line, especially with its financial and HR software. “We extended our market leadership in HCM, welcoming more Fortune 500 customers to the Workday community, and accelerated adoption of Workday Financial Management as more finance organizations move to the cloud,” Bhusri said. During the quarter, Workday announced a new workforce planning module for the Adaptive Insights Business Planning Cloud, which is used to create and test complex business scenarios. The new product was the first to be announced since Workday acquired Adaptive Insights Inc. this summer for $1.55 billion. Workday also announced the availability of Workday People Analytics, a new product that uses augmented analytics powered by artificial intelligence to provide customers with key metrics on the most critical activities in their business.